Non-government organizations working in migrant search and rescue at sea have signed a joint statement calling on European countries to form a migrant policy of solidarity that respects human rights. The statement condemns the "recent threats" by the Italian government against the NGOs Mission Lifeline and Sea Eye. Civil society organizations working in support of migrants, including Mediterranean rescue NGOs Sea Eye, Sea Watch, Mission Lifeline and Jugend Rettet, have signed a joint statement calling on European leaders to reach an agreement on migrant policy that respects the principle of non-refoulement and is based on solidarity, safe passage, and access to the right to asylum in Europe. "The civil rescue fleet urges the EU and its member states to stop the ongoing externalization of their borders, carried out through a policy of containment of migration and pull-backs by proxy," the statement said. "Instead of focusing on the criminalization of the civil rescue NGOs, we ask for solidarity amongst the European states (Art. 80 TFUE) and towards the people in need of international protection." In the statement, the organizations said they are "witnessing, with great concern, the political developments of the recent days." It said the European Union "holds on to the aim of externalizing migration and asylum policies", which it said "undermines basic human rights guaranteed in the European Convention on Human Rights." The organizations said they are "very alarmed by the proposal of "regional disembarkation platforms," which stands for a punitive approach towards migration, exposing people in need of protection to a high risk of inhuman treatment, violence and sexual abuse." Instead of an "interim solution, such disembarkation centers become an unbearable long-term living condition depriving its inhabitants of adequate education, food and medical care." The NGOs call on EU member states to acknowledge their responsibility, "instead of externalising migration policies to third countries, effectively abolishing the access to asylum in the EU." They said the deadlock related to the Dublin IV reform must be resolved, because "it leaves Italy, Spain and Greece alone with migrants after first arrival." 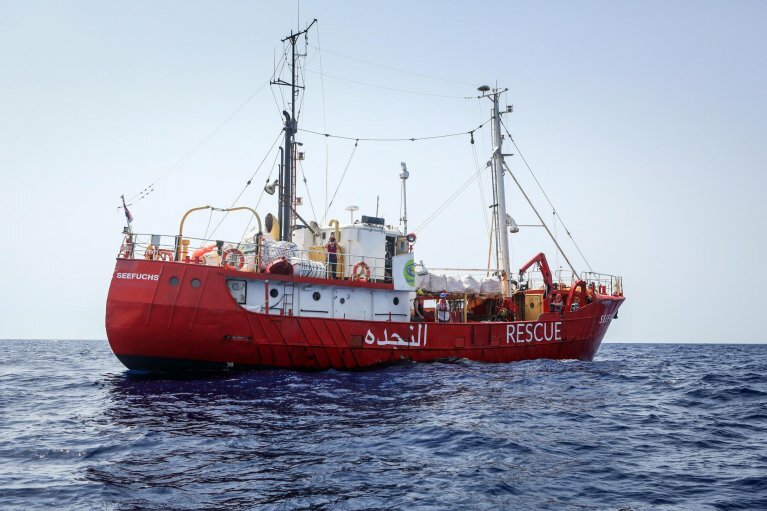 Regarding Italian migratory policy, they said they "condemn the latest threats by the Italian government against the SAR NGOs Mission Lifeline and Sea Eye of confiscating their vessels, which would result in even more deaths. Such measures of repression towards civil society's engagement must come to an end." The organizations urged European leaders to agree on "a migration policy which respects the principle of non-refoulement and is based on solidarity, safe passage, (and) access to the right to asylum."